Hawkins-Cassens Insurance Agency, LLC. was established in 1999 by Bob Hawkins and Lynn Cassens. Bob has been in the insurance business as an agent since 1985 and Lynn since 1979. Hawkins-Cassens Insurance is a full service independent insurance agency offering auto, home, life, health, farm, and business insurance. Lynn has been involved in the insurance industry since 1979 with extensive experience in farm/crop insurance as well as auto, home and commercial insurance. Lynn is a licensed Medicare Part D agent and can also provide Medicare supplements and family health and life policies. In 1993, Lynn obtained her CIC designation. The CIC designation is awarded to insurance agents who successfully complete an intensive course of study which includes passing five rigorous essay examinations. To maintain the CIC designation, Lynn attends advanced training programs each year which provides updates to the changing insurance industry. Lynn and her husband, Ted, live in Sterling along with their furry friend Lily. Lynn and Ted have two children, Jennifer and her husband, Tom, and Sean and his wife Julie. They have 4 grandchildren, Maddie, Ellie, Charlie and Myles. Bob started his insurance career with Country Companies Insurance in 1985, and in 1989 purchased the former Cal Stowell Insurance Agency, forming Stowell-Hawkins Insurance Agency. After Cal’s untimely death, Stowell-Hawkins Agency formed a partnership with the former Peterson-Book-Quigg-Inboden Agency in 1991. Hawkins-Cassens Insurance Agency LLC. was then formed in September 1999. In 1998, Bob obtained his CIC designation. The CIC Designation is earned by insurance agents who successfully complete an intensive course of study which includes passing five rigorous essay examinations. To maintain the CIC designation, Bob must annually attend a 20 hour update consisting of advanced training which provides continuing education to the ever changing insurance industry. Bob has been married to Sue since 1976, and they have two children Brian and Rebecca. Brian, who also works in the agency, is married to Jaime. Rebecca is married to Jermaine Harris. Bob and Sue have 5 granddaughters. Abrianna, Adalynn, Aveyah, Carlee and Jovee. Brian joined Hawkins-Cassens Insurance in 2004 and has 18 years of experience in the insurance industry. Brian is able to assist you with your personal, commercial, life & health insurance needs. Brian & his wife Jaime live in Sterling and have two daughters, Carlee & Jovee. Diane joined Hawkins-Cassens Insurance in 2004 and is a licensed insurance agent. Diane is our agency manager of incoming relationships. Diane lives in Sterling with her husband Rick and has two children. Heather lives with her husband in Delavan, Wisconsin and Jared lives in Rock Falls. Tabi joined Hawkins-Cassens Insurance in 2006 and has 27 years of experience in the insurance industry. Tabi is able to assist you with your personal, commercial, life & health insurance needs. Tabi and her fiancé, Rod, live in Sterling and have two children, Denny and Paige. They have 3 grandchildren, Benzson 3, Hayden 2, and Baylor 3 weeks . 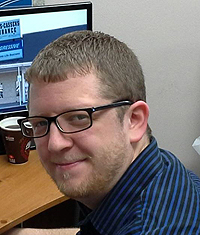 Nathan joined Hawkins-Cassens Insurance in 2014 as the newest addition to the team. Nathan is able to assist you with your personal, commercial, life & health insurance needs. Nathan & his wife Bethany live in Sterling and have one daughter, Gianna. Today, life changes in a heartbeat. Without regular reviews of your insurance program, it is possible for gaps to form. The result can be disastrous for a family or for a business. We go far beyond excellent customer service to a new level. Because of our focus, technology, and business-culture we are able to spend more time than many agencies on working with you to help you understand your insurance program and to help you tailor it to meet your individual needs. A very important part of this process is an regular review of your program. This review only takes a few minutes and will help you to feel more confident throughout the year so that you can focus on the things that are most important. As an independent agent, Hawkins-Cassens represents many insurance companies. Our role is to serve as a trusted advisor. We will consult with you to help you understand your needs before recommending the best combination of coverage, service, and value for your unique situation.